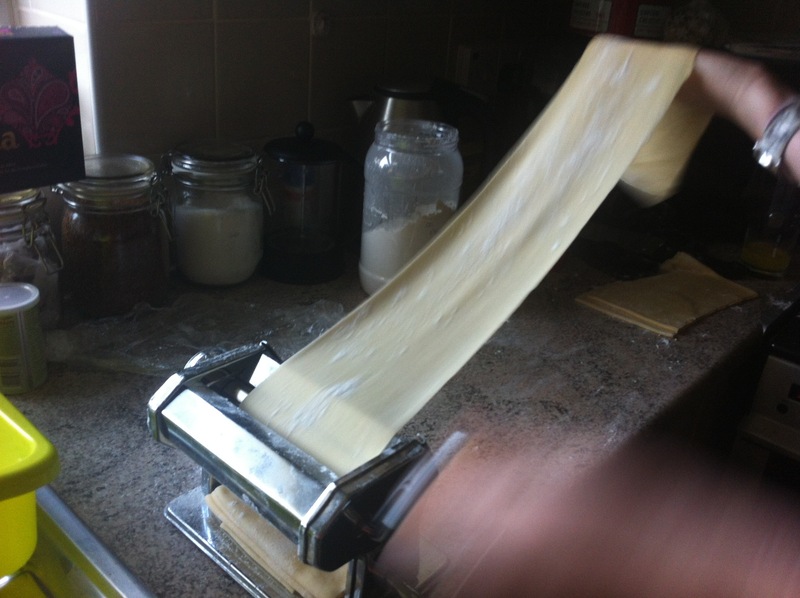 So this is my basic pasta recipe, from this you can make all sorts such as lasagne sheets, tagliatelle, ravioli just to name a few! I will follow up with other recipes that use this as a starter. 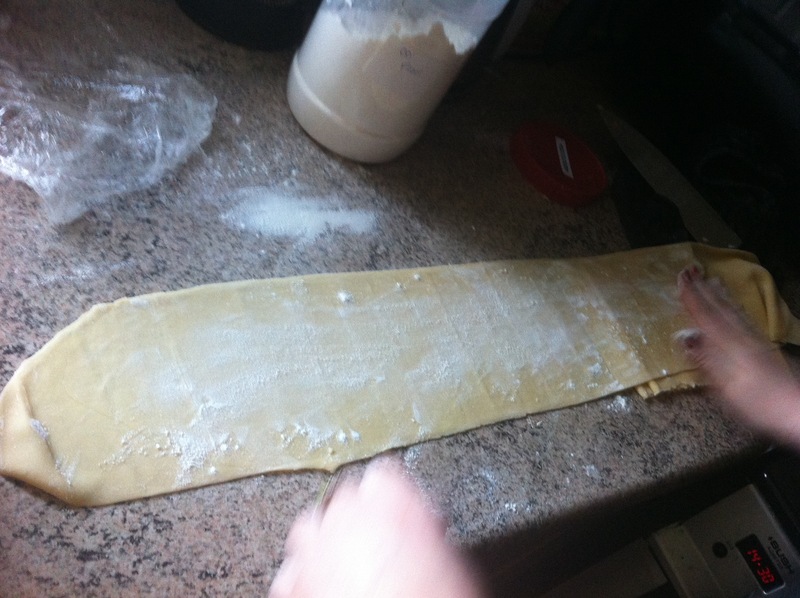 Pasta has become my favourite thing to make in the kitchen, I find it quite relaxing and very rewarding. 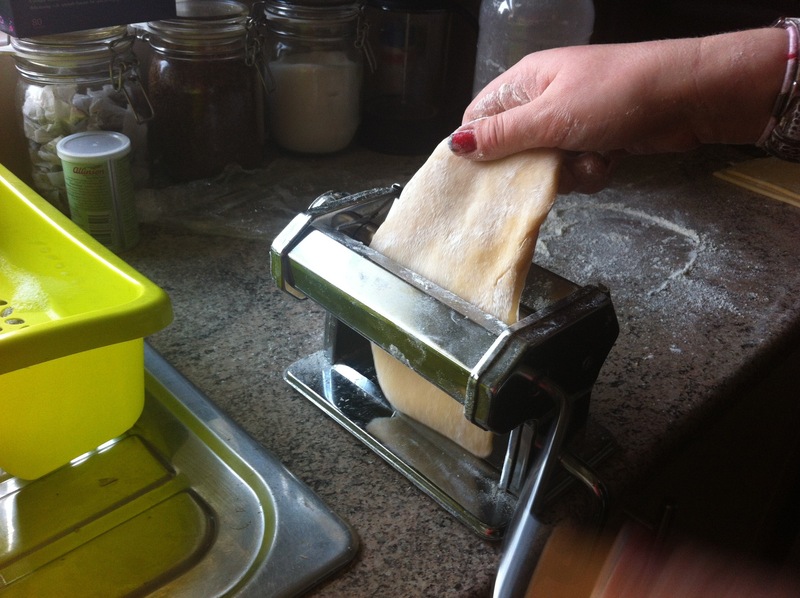 I love my pasta machine but it is possible to make pasta without one you just need to master rolling it out as thinly as possible. 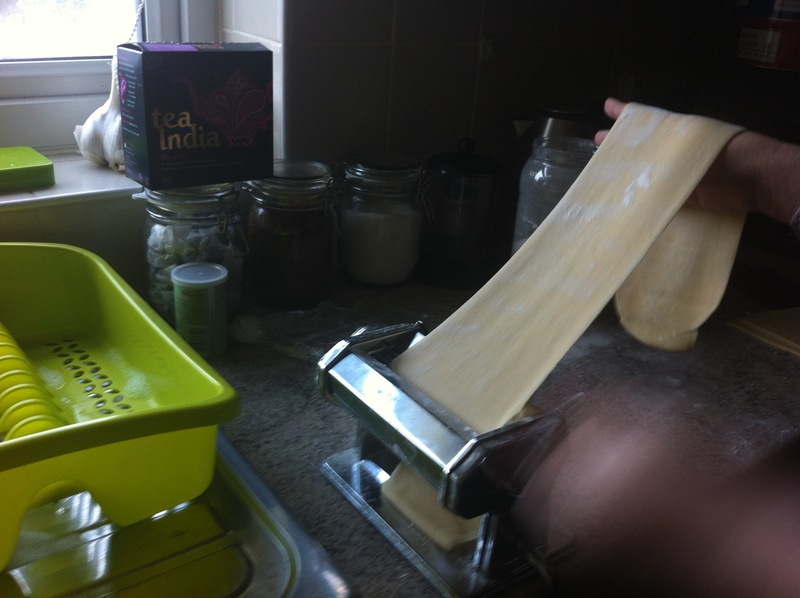 Although pasta machines you can now pick up for around £10 and are well worth the investment. As a rule 100g ’00’flour to 1 medium egg. 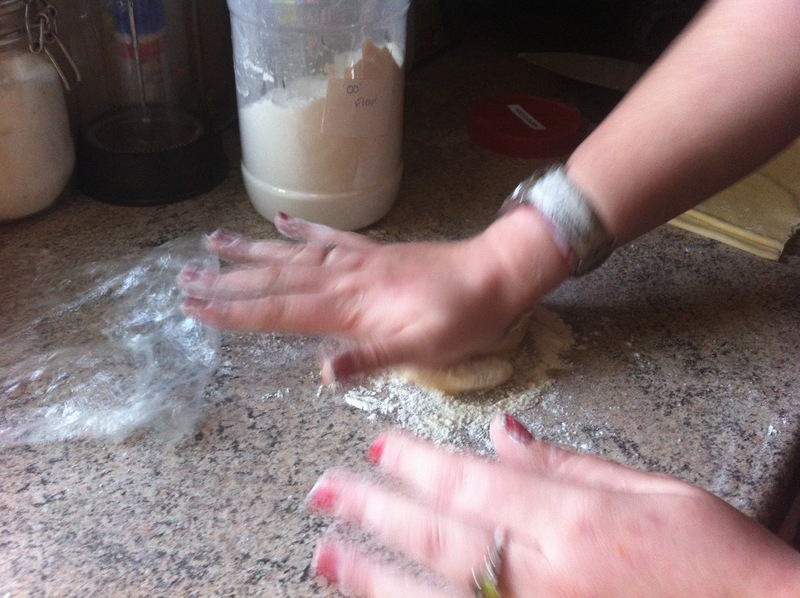 Place flour in a mixing bowl, and make a well in the centre. Add the egg and oil and gradually start to mix together from the middle outwards with a fork. 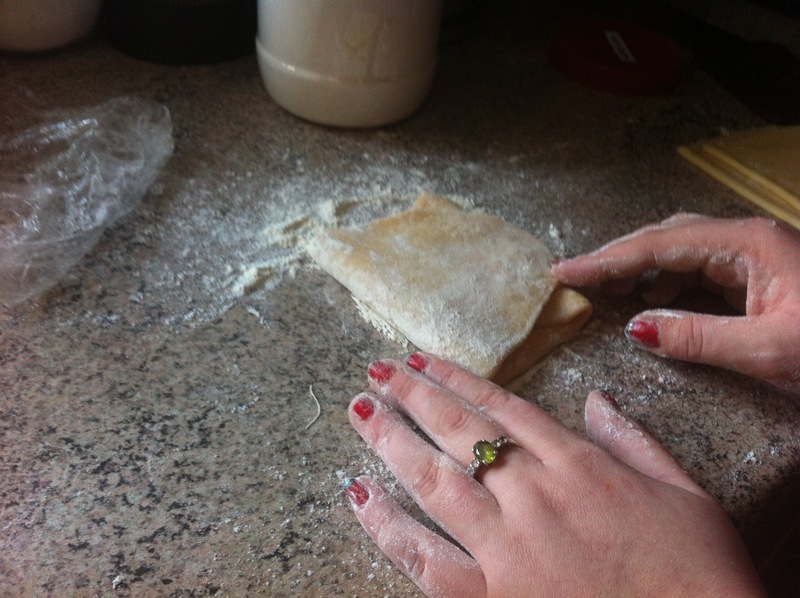 When dough starts to bind together start to work with your hands. 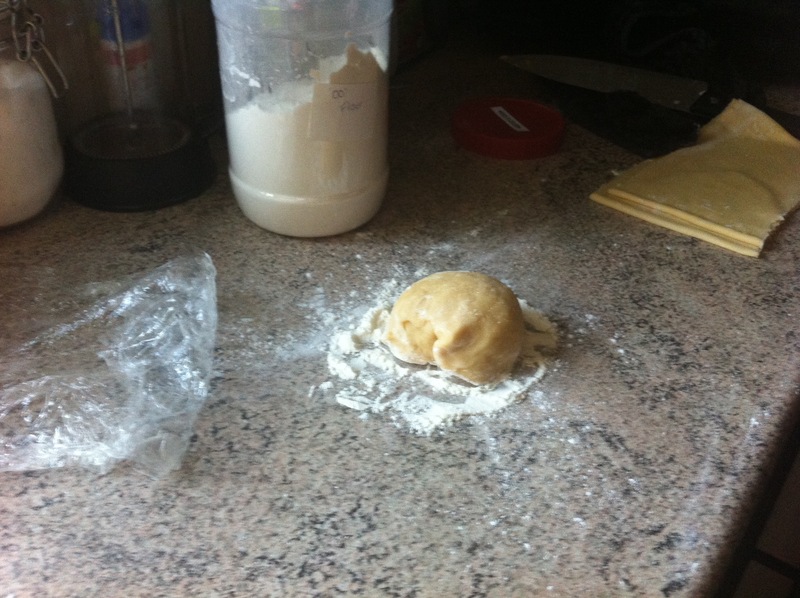 Turn out onto a lightly floured surface and kneed the dough for around 5-10 mins until the dough begins to look smooth. Flatten the dough out with your hands and if making a large amount divide the dough into smaller portions as its easier to work with. 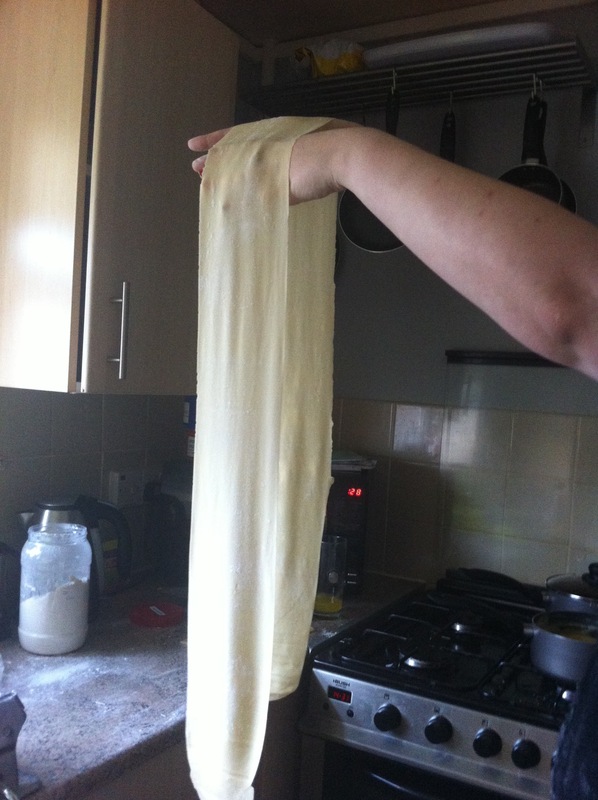 Keep the machine on thickest setting and roll the dough through again and repeat the folding process 3 times. When the dough has been rolled through 3x on thickest setting, gradually start to decrease the thickness setting rolling the dough through once on each notch. 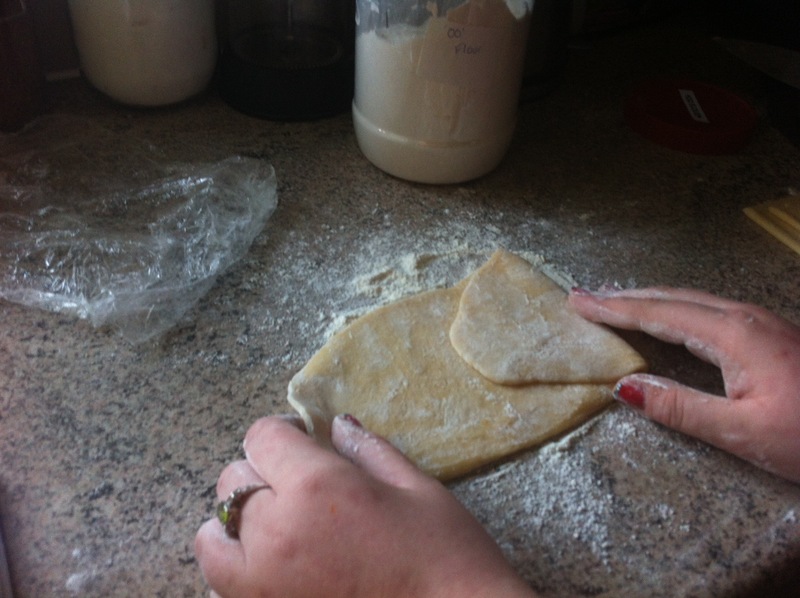 Keep dough well floured to avoid sticking!